Open House & Family Fun Night! We provide a proven and accredited academic curriculum supplemented with activities that support and challenge learners. Each student is valued as a unique individual and as a child of God. A top priority is placed on recognizing and respecting learning differences among students. Our staff not only teaches up-to-date learning strategies but guides students to achieve attitudes of self-confidence, discipline and responsibility while serving as role models for their students. 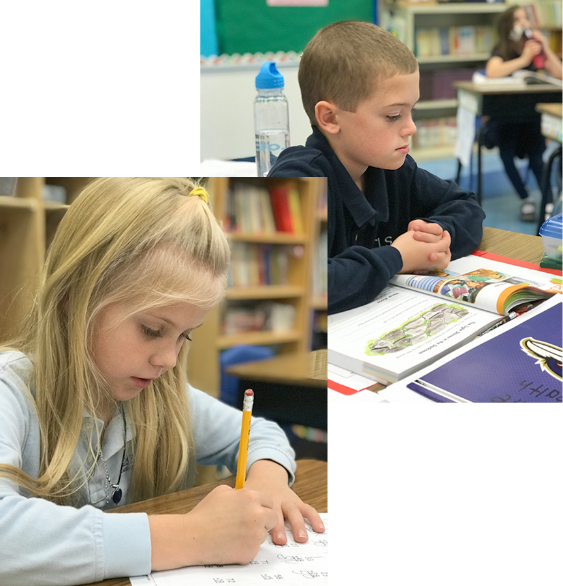 The central purpose and goal of Carroll Lutheran School (CLS) is to provide a quality education where the love of Christ sets the tone to develop, cultivate, and nurture all aspects of learning, including spiritual, academic and social. Our school is diligent when it comes to innovations in education, studying and evaluating trends and implementing changes where needed in curriculum and resources. We provide faith studies/Bible, reading, language arts, math, science and social studies as well as art, general and instrumental music, physical education, computer literacy and media services. We understand that applying to a private, Christian based school is a process that requires several important steps. We are always available to speak with you and assist you in any way we can. Please feel free to contact us with any questions you might have. After the sudden closure of our previous school, we found ourselves enrolled in CLS for our 2 children. We immediately felt welcomed and like part of the family. An early reading assessment showed our son was reading below grade level. Hard to hear for sure, but CLS had a plan in place with the Wilson reading program and an amazing Resource teacher, Mandy Gilbart. Upon completion of the program, he not only excels in reading comprehension, he actually loves to read! We are beyond grateful to the CLS community for their top notch academic staff and dedication to the students. When my son’s school closed a few years ago, God lead us right to CLS. The teachers and administrators have been excellent, often going above and beyond to meet our needs. My son is receiving a stellar education. We love CLS! Our daughter has been at CLS for 7 years now and we could not be happier. It is such a blessing when your child is happy to go to school! The new administration is wonderful and we are thrilled to see where the future takes CLS! Our son is in his fourth year at CLS. He and all members of our family have been blessed by the school's outstanding teachers and staff. CLS is a community of learning and personal growth, where each child receives the attention and instruction that he or she deserves as a child of God. CLS delivers on its promise of a Christ-focused, academically rigorous education, and so we are eager for our second child to begin there next year! We are so happy to have our family at CLS. Our children are happy every day at school and the school had been so responsive to their needs. We had to make a mid-year transfer last year from public school and it was the best transition. We are confident we made the right choice for our family! Thank you, CLS. We love CLS. Our daughter is thriving and absolutely loves going to school! While waiting in the car line for drop off she is always asking " When are they going to open the door? When are they going to open the door?" She is also asking to do homework!! I would say that is a strong, caring, great teacher influence. They are more than welcoming, I have never once felt that they didn't have the best interest of my child at heart. I feel very comfortable leaving my only daughter in their hands. I would highly recommend CLS! I truly can't say enough about CLS and how God has blessed our entire family through this school! 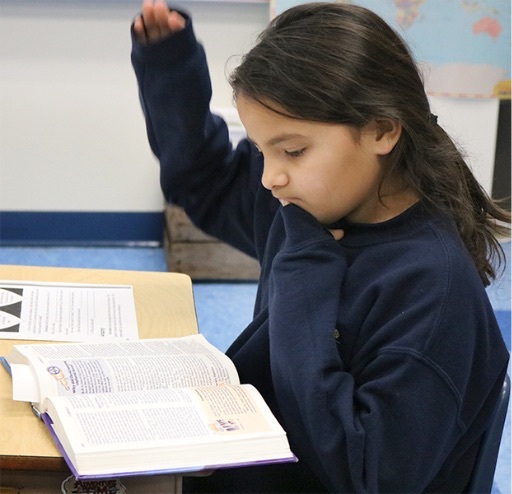 We, as Disciples of Christ, will create a quality education in a Lutheran environment where the love of Christ will be proclaimed through the integration of faith and life. Please consider donating to Carroll Lutheran School (CLS). Your gift in support of our mission may have far-reaching effects in the lives of the children and the larger community. Thank you for joining the Carroll Lutheran School mailing list. We look forward to keeping you informed on all the great things going on in the school community! © 2005-2019 Carroll Lutheran School. All Rights Reserved.